For the last few years astrophysicists and elementary particle physicists have been working jointly on the following fascinating phenomena: 1. The solar neutrino puzzle and the question: What happens to the neutrinos on their way from the sun to the earth? 2. The growing evidence that our universe is filled with about 10 times more matter than is visible and the question: What is dark matter made of? 3. The supernovae explosions and the question: What do neutrinos tell us about such explosions and vice versa? The experimental investigation of these phenomena is difficult and involves unconventional techniques. These are presently under development, and bring together such seemingly disparate disciplines as astrophysics and elementary particle physics on the one hand and superconductivity and solid-state physics on the other. This book contains the proceedings of a workshop held in March 1987 at which the above subjects and their experimental investigation were discussed. The proposed experimental methods are very new. They involve frontier developments in low temperature and solid-state physics. The book should be useful to researchers and students who actively work on these subjects or plan to enter the field. 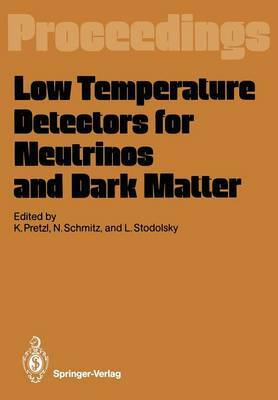 It also offers the non-expert reader with some physics background a good survey of the activities in this field.